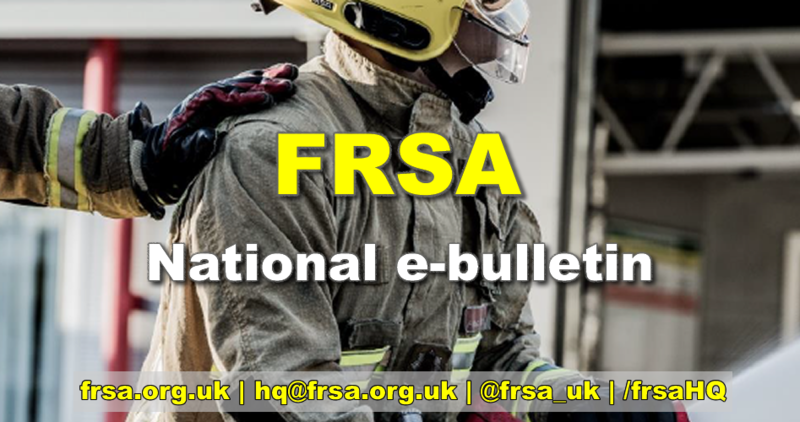 We thought it was important to provide our members with the latest update regarding the National Pay offer, while doing so it is also necessary to give you some context around why we are in this ludicrous situation whereby firefighters across the UK have not received their pay rise on time (due on 01 July 2018) for the second year running. Back in August 2017 the National Employers presented an offer to the FBU which included an immediate first stage payment of 2% and a conditional second stage payment of 3% in April 2018 – both stages were in respect of the pay settlement for the pay year 2017-2018. The offer also set out that by April 2018, subject to; (i) the conditions of funding sources being available and (ii) an agreement on the broadening of the rolemaps, that agreement could be reached on pay arrangements in respect of the following pay years – 2018; 2019 and possibly 2020. While the FBU Executive agreed to the proposal, their members didn’t (although no ballot took place) meaning that in September 2017 ALL Grey Book staff received the mandatory 1% pay rise backdated to 01 July 2017. Fast forward 12 months and there is still no agreement and no pay rise awarded on 01 July 2018, although it is likely the mandatory 2% pay rise will be awarded soon and backdated to 01 July 2018. To complicate matters further, there appears to be agreement in Scotland whereby a staggered pay increase is attached to the broadening of the role (similar to that proposed by the National Employers back in August 2017). However, this is funded with the monies being found over a longer period whereby it is expected that there will be job losses and station closures. Should the Scottish proposal go ahead in isolation, it is likely to lead to the break-up of the National Joint Council (NJC). All in all, the situation is an almighty mess with frontline staff bearing the brunt of a negotiating structure that is not fit for purpose, isn’t representative of Retained/On-Call staff and continues to fail its employees. Subsequently, our members have been excluded from the valuable opportunity of continuing with the Emergency Medical Response (EMR) trials, something that would have helped to overcome the reduction in calls, increased their earning capacity and provide greater community engagement, the knock-on effect of which would also have had a positive impact on recruitment and retention rates. The current national arrangement, whereby only one union sits in the NJC, representing ALL Grey Book staff, irrespective of whether these firefighters are members of the FBU or not, is grossly unfair and is actually stopping progress being made locally in terms of flexible contracts, expansion of the role, increased rates of pay and earnings is simply unacceptable. Our understanding is that the employers, the Home Office and most importantly, frontline firefighters across the UK are becoming frustrated with the latest impasse and would welcome the opportunity to take on other protective duties that better fit with public demand. If you are of this view and not currently a member of the Association, we would be happy to provide you and your station with further information, please contact us via email or our website.